Welcome to the first Report of 2013! Highlights include moving Plum Island to Kansas, studying the novel coronavirus which has us a little spooked, the earliest start to the flu season in 9 years, studying cells after antibiotic exposure, and giant panda blood (it’s relevant, I swear). Happy Friday! Chalk up another victory to the government in the ongoing battle to build that animal research lab in Kansas. Unsurprisingly, many people feel very uncomfortable with the idea of a scientists handling foot-and-mouth in their backyard, especially if their backyard is a large dairy farm. It looks plans to complete the lab in Kansas are nonetheless underway. The novel coronovirus popping up in the Middle East is getting some very serious attention here in the US. Corona being a bit of a dark horse – see SARS – determining whether this new form is transmissible person-to-person remains a priority. According to the CDC, the 2012-2013 flu season has had the earliest start in nearly a decade, with 29 states reporting “high levels of influenza-like-illness” (ILI). For those of you interested, the CDC publishes weekly reports on just the flu (alliteratively named “FluView“), which details things like the prevalence of the strains identified. For instance, last week, 79% of the Influenza- positive tests reported to the CDC were Influenza-A, and of that 79%, 98% were H3N2, and 2% were H1N1. Moral of the story? Get your flu shot. 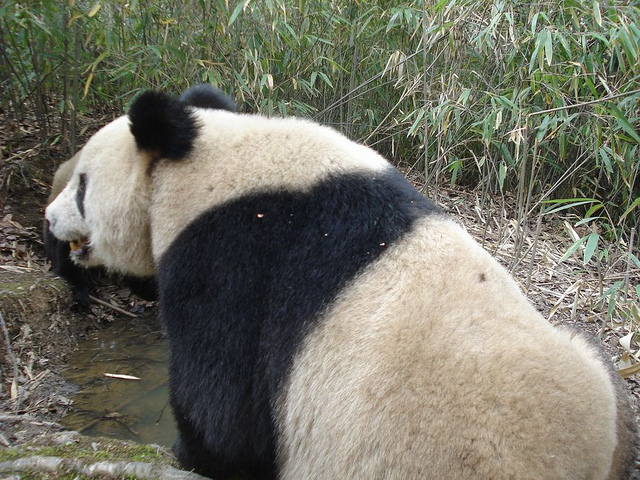 According to a new study conducted by researchers at the Life Sciences College of Nanjing Agricultural University in China, giant panda bloods is replete with a compound called cathelicidin-AM, which can kill bacteria in under an hour (standard antibiotics take closer to six hours). Before you start to wonder, aghast, how one farms giant panda blood, let me stop you – the compound can be synthesized, without any pandas present, in labs.